I’m away at my first ever overnight business trip. 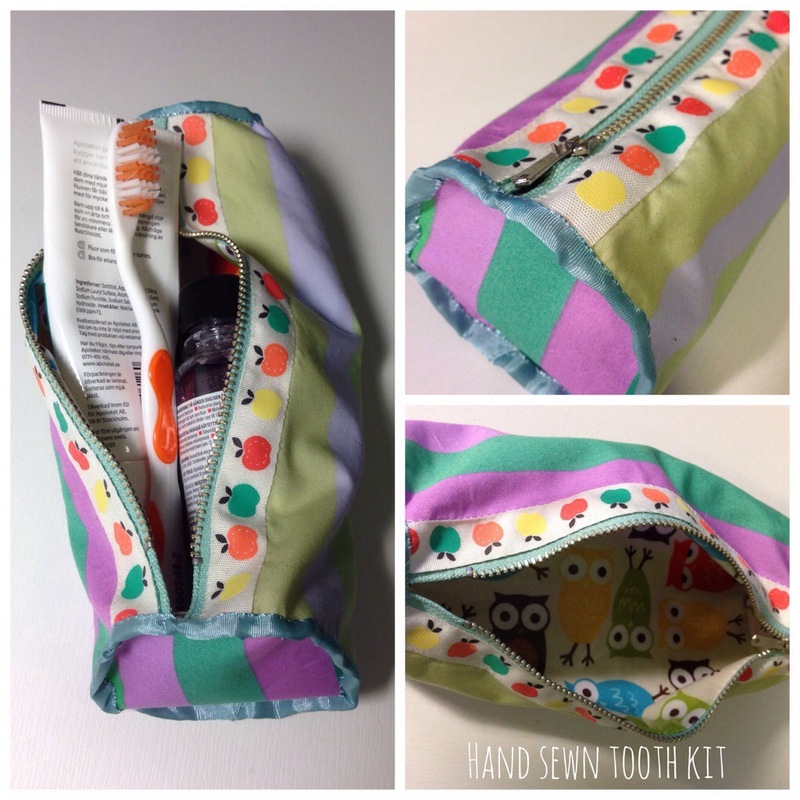 Last weekend I was being lazy but wanted something to do while I was laying on the couch, so I hand sewed this little bag for my toothbrush, toothpaste, mouth wash and floss. The inside fabric is laminated, found here. I think it turned out really cute and practical. What do you think?